A fixture in classic project management methodology and systems engineering, the work breakdown structure (WBS) is a method that breaks a project down into a hierarchy of deliverables, tasks, and subtasks. It’s a helpful tool that defines a detailed cost or time estimate and provides guidance for schedule development and control. Essentially, using a work breakdown structure enables you to take a top-down look at your project and break it into the tasks and subtasks that will get you to completion. It’s a simple, yet methodical, way of organizing and understanding your project scope in smaller, manageable components. There’s no doubt about it: Estimating projects can be confusing and somewhat difficult. But creating a project estimate doesn’t have to cause you heartburn. Asking questions, analyzing needs, and breaking your scope down into chunks can help. Creating a work breakdown structure for any plan or set of tasks helps you get granular about the work that needs to be done on any given project. If you estimate your projects based on units—whether it’s weeks, days, or hours—using a work breakdown structure will help you understand very quickly if your estimate will exceed the intended budget or deadline. 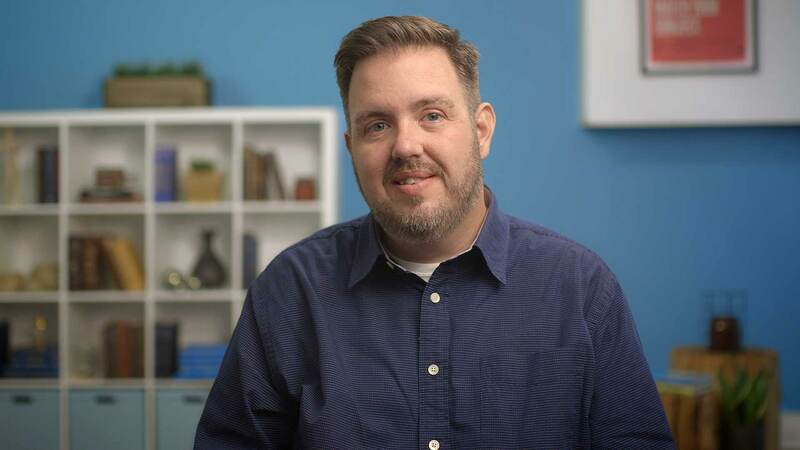 When you’re comfortable with the overall process of creating a work breakdown structure, you’ll be able to adapt the practice to any project—from moving your house to building a complex database with 75 offshore teams. That’s right, the work breakdown structure will be your friend. But before you go off and start creating these documents (and on-point estimates), let’s walk through a process that will help ensure a solid, workable estimate. If you’ve got a project scope, getting started on your work breakdown structure should be easy. Don’t have a scope? Turn right around and talk to your clients or boss about the scope. Starting any project without a scope is dangerous because it sets the stage for what will be delivered and when. Be sure to include all tasks and that you’re not leaving anything out. For instance, if you’re working on a website redesign project, have you accounted for content? If you miss a deliverable now, you’ll regret it later. Once you’ve identified the high-level deliverables for your project, it’s time to take a deeper look into what actually needs to be done within each individual deliverable. This isn’t just a simple exercise where you say, Who will do this, and how long will it take? It goes much deeper than that—and that’s a good thing because that’s how you’ll be able to create a better estimate. What needs to be done to create this deliverable? What other related project tasks will contribute to successfully completing this deliverable? What are the task requirements? As you conduct this exercise, keep in mind that you truly want to list every possible task that could go into a high-level deliverable. Remember, the point here is to account for all time so you can create a reasonable estimate. You won’t be able to do that if you’re not thinking it through properly. This list of tasks is an estimate for all of the work that will need to be done in order to get to a finalized sitemap. This might not be the way you’d do it, and that’s just fine. When you sit down with your team to discuss these tasks, just be sure you’re operating with a common understanding of how things are done—or that you’re at least talking through the process you want to enact. No matter what, listing out every single detail will help you spell out the effort it will take to complete the deliverable. That’s right: You want to make your work breakdown structure as detailed as possible. The only way to do that is to examine every task you’ve identified and list out subtasks. It’s all about elaborating effort and determining the work that will need to be done to successfully complete the deliverable. It’s a process that takes time and thought, but if you make an investment to do this, you’ll find less room for missed expectations and budget overages in the long term. So, take the next step and detail out what will go into each task. This one task is proof that any single line item in a scope can be an expensive one! Not only did this example include 6 subtasks—it also included a line item that requires payment to a party outside of the project. You’re going to want to know about any expenses before scoping your project, and your clients will too. Be sure to account for them early on so nothing comes as a surprise when you’re knee-deep in your project. Traditionally, you’ll find work breakdown structures presented in flowcharts that resemble website sitemaps. That format works well because it shows a hierarchy of tasks and is easily numbered and referred back to. When you’ve listed all of your tasks and subtasks in a format that makes sense, you’ll want to review it again and make sure you’ve included all of the possible tasks and subtasks. Once that’s confirmed, go through the list and discuss each task in terms of level of effort. This could be in minutes, hours, days, weeks—it really depends on how granular you need to get and how your organization estimates projects. Assigning an increment of time to each task will help you add up a total estimate of time (and possible cost) and sets you up to create a project plan when you’re ready for that step in your project. When you’re done, you’ll know if you’re in scope, out of scope, or actually operating on another planet. It’s true: You might run this exercise and find you’ve articulated too much time or effort to do everything within the scope of the project. The good thing is, you’ve set the baseline for what’s needed, and as a group, you can scale back on tasks to fit the scope or the timeline (and help yourself avoid the awkward deliverable due date dance). Sometimes you’ll get requests to add to your project scope. In that case, you'll need a quick (but solid) estimate to float by a team or a client—just to ensure you’re covering your bases with that new thing. 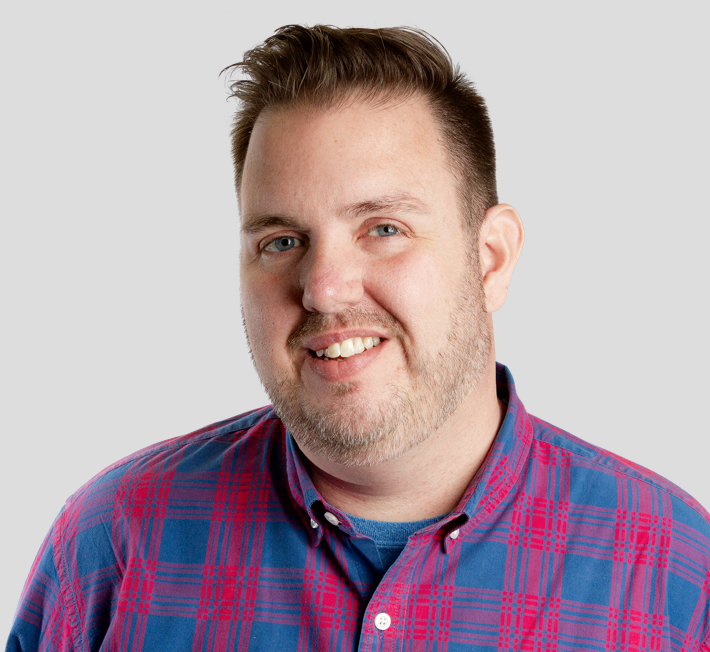 Maybe you don’t have the time to pull the team together to run through the steps above, but using a work breakdown structure in this instance to map out a quick set of deliverables can be extremely helpful. In fact, creating a quick work breakdown structure on your own can be extremely helpful when a client tells you they have X dollars to spend or X days to get something done. If you map out your tasks to get to an estimate, you can easily explain what can and cannot be done. And, if your estimates are too high, you can lean on your work breakdown structure to negotiate the scope down quickly. For example, if I had to cut down on cost/time on building that sitemap, I could likely remove the “Test the current structure with 5 site users” step from my “sitemap” deliverable (though that could be risky and I might not want to do that). Use the work breakdown structure to your advantage this way, and you'll not only create a project estimate that maps to a specific budget, you’ll work out a solid set of project requirements. Now that we’ve talked about how to use a work breakdown structure to estimate your projects and manage project scope, let’s look at some simple work breakdown structure examples to jumpstart your ideas. Here’s an example of a work breakdown structure in flowchart form. This format works great for simple projects that don’t necessarily need an estimate. 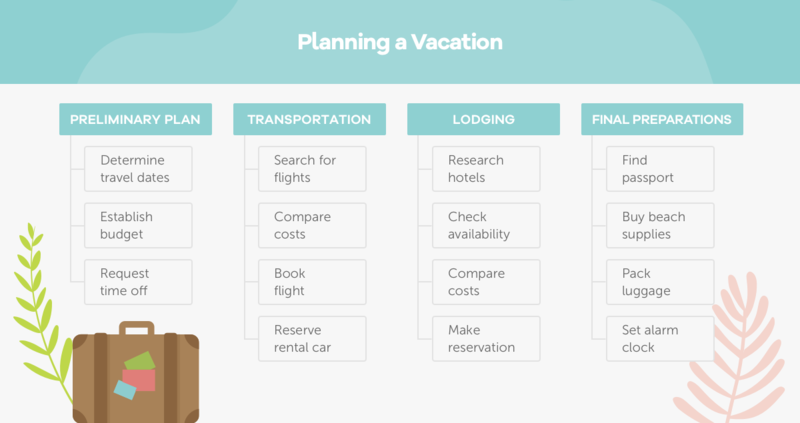 In this flowchart example, we’ve shown you how to use a work breakdown structure to plan a vacation. Just keep in mind that a flowchart can get messy if your project breaks down into too many tasks and subtasks. If you’ve got a complex project on your hands, consider a different format. We took time to design this list example, but your work breakdown structure can just as easily be scribbled down on your favorite notepad or whiteboard. 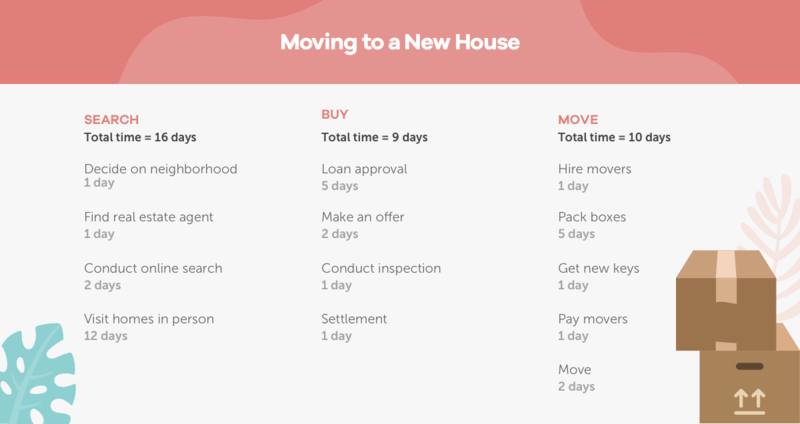 Here’s how you might use a work breakdown structure to estimate your time for an upcoming move. If your project involves a long list of tasks and subtasks—and you want to capture both time and budget estimates—a spreadsheet might make sense for you. In this work breakdown structure example, we’ve used a simple spreadsheet to estimate cost and effort for a website. You can add columns and rows to fit your needs and even set up formulas that calculate cost based on the estimated time and hourly rate. Want to get one step ahead of your project plan? Try setting your work breakdown structure up as a gantt chart! Here’s an example of how we’ve used task groups and subgroups to break a website build down in TeamGantt. It’s easy to add or remove tasks to fit your scope, and you can use TeamGantt’s hourly estimating feature (available in the advanced plan only) to plug time estimates in and watch the numbers add up—no calculator needed! When you’re ready to assign and schedule work, all your tasks will already be there waiting for you. Your team can track time right from the app, enabling you to monitor hours to keep the project budget in check. As with any tool or methodology, you need to do what’s right for your project, your team, and you. Maybe the steps and examples outlined here won’t work for you. That’s okay! If you use the principles that the work breakdown structure encompasses—listing deliverables and tasks—to create your own estimate, you’ll find a level of accuracy you may not have found in the past. And, if you hang on to those estimates, you can use them on future projects as well. That’s a bonus! Want to save time and effort on your next project? With TeamGantt, you can turn your project estimate into a full-blown plan without the tedium. You’ll have all the features you need to ensure projects finish on time and under budget—from drag and drop simplicity and team collaboration to customizable views and workload management. And it all comes with a simple and intuitive interface anyone can use. Watch the video below to see how TeamGantt works, and try TeamGantt for free today!